‘Married at First Sight’ Couple Brandi Broughton and Quinton Strother Are Officially Engaged! Congratulations are in order for Brandi Broughton and Quinton Strother who just got engaged! The soon-to-be newlyweds initially met in 2016 on Lifetime’s Married At First Sight, but had to cancel their wedding. Although the theme of the show was to about seeing if two people could fall in love after they got married, that wasn’t the case for Brandi and Quinton, since Quentin was soon relocated for work, consequently ending their chance to make it work. Soon after the pair called off the wedding and went their separate ways. But as fate would have it, neither a separation, long distance or a called off wedding could stand in the way of what was meant to be. 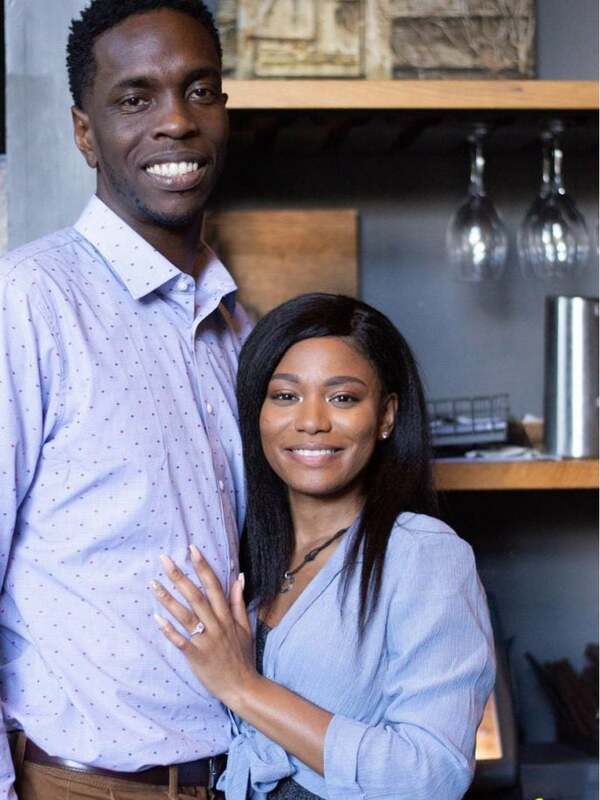 After seeing each other again on a MAFS matchmaking special, Quinton tracked down his now fiance on social media, reached out to her via Facebook message and the rest is history. “What started out as just a follow-up to the show, turned to friendship. Our friendship blossomed into a beautiful relationship that has now bore fruit to a fiancé. You always said everything happens for a reason, that’s why were here today.” Strother shared with PEOPLE magazine. Since 2016 the couple have been committed to one another and Quinton officially asked for Brandi’s hand in marriage on August 4th, the exact date he reached out to her on Facebook. In an intimate family and friend gathering at Atlanta’s Saltyard restaurant Quinton popped the question. “We’ve been everywhere from Chicago to Waycross to Miami to Dallas and everything in between. I love our communication, our honesty and just everything that makes up this relationship. So with that being said Brandi, will you marry me?” he asked. Ecstatic and surprised, Brandi nodded her response “yes”, as she was too overwhelmed to utter any words. Although Quinton’s job obligation caused their initial Married At First Sight plans to fall short, it’s clear the love they share for one another started from day one and Quinton couldn’t be happier with the outcome of it all.